With Superman unconscious (and in orbit!) and Wonder Woman in the death-grip of the legendary Hercules, things are looking bleak for The Regime. But Ares, God of War, has no wish to see the battle between Gods and Supermen concluded so swiftly. 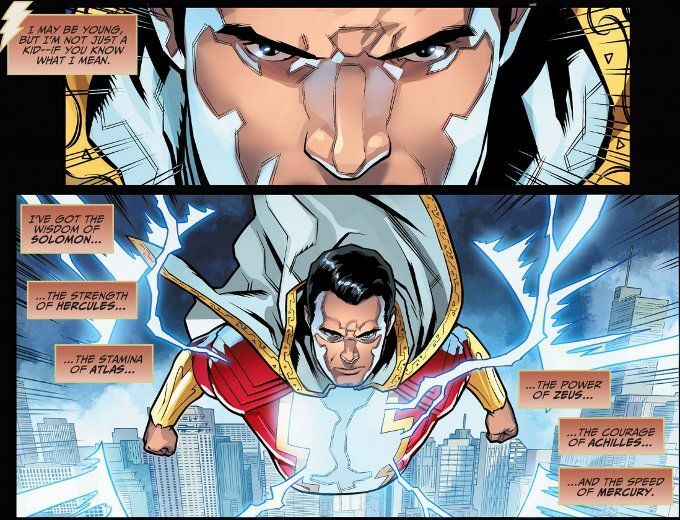 Thus he has unleashed the mightiest of mortals, who wields the powers of six beings of legend - SHAZAM! 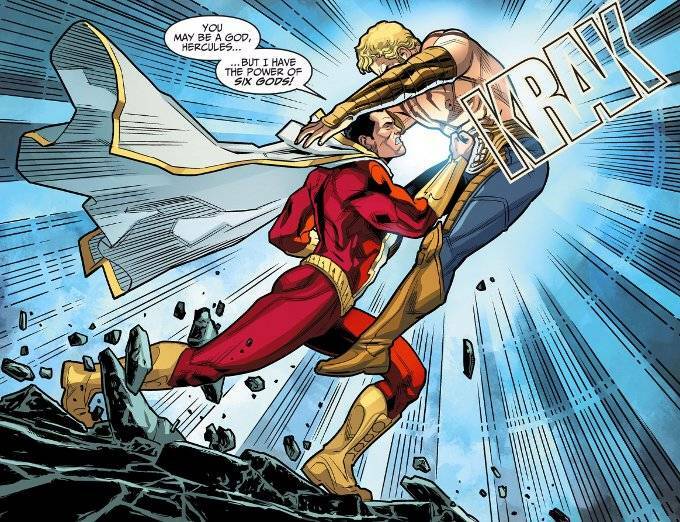 Whether you call him Shazam or Captain Marvel, Billy Batson's alter ego has rarely gotten the respect he deserves in modern times. Brian Buccellato's script for this issue is a love letter to everything that The Big Red Cheese is. The only flaw - and I will admit this is a personal quibble - is that hearing Billy Batson use the phrase "badass" is a bit jarring, though I'm sure this is meant to evoke the more modern take on Billy Batson's character. The artwork for the issue is top-notch. Bruno Redondo returns to deliver his usual stellar job on the pencils, with Juan Albarran backing him with his excellent inks. And Rex Lokus' color art perfectly completes them both, crafting one damn-fine looking book.